Because septic systems are "out-of-sight" most people don't give them much thought and they often get neglected .... "if the toilets flush, the system must be working!" A septic system is like a car, it needs regular maintenance, parts fixed, and one day, the ole' clunker will need to be replaced! Would you buy a used car without looking underneath the hood? Of course not, so why buy a home without looking at what's buried in the yard? A septic inspection will give you important negotiating information during your contract option period. Is the system is well maintainted? What is the system's estimated useful life? 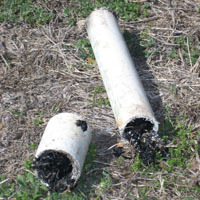 Keep in mind the cost to replace a septic system can be $20,000 or more...repairs can run in the thousands! It's also important to know if the system is properly permitted with the governing authority, has it or the house been modified, what are the ongoing maintenance costs, and what is best way to prolong its life. Why pump at the time of inspection? Buyers often say, "I don't own the house, so why should I pay to pump the homeowner's septic tank?" 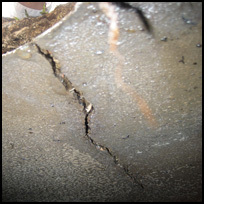 It is impossible to determine if a tank is structurally sound without pumping the liquid out to allow visual inspection of the interior walls. 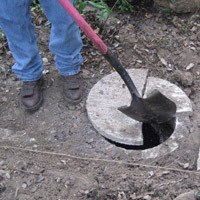 State code requires a septic tank to be watertight and structurally sound. 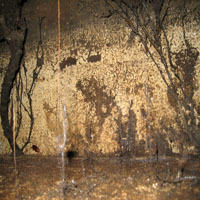 Tanks crack during installation, by root inundation, driving on them or by the expansion and contraction of the surrounding soil. In the past, a cracked tank was relatively inexpensive to replace, but code now requires upgrade of the ENTIRE system. VA and FHA mortgage lenders often require pumping at time of inspection. Contact you lender to ascertain their requirements DURING THE OPTION PERIOD. And last, there are occasions when there are problems with the system during the inspection. Having the pump truck on site and pumping allows the inspector to perform further diagnostics. If the pump truck is not present, there is often the additional time and expense of a second trip to the property. Time is usually "of the essence" in a real estate transaction. So OUR ADVICE ?...pump at the time of inspection. Don't be penny wise and pound foolish! Clogged field lines... not much water flowing through these! Cracked Lid...easy way to lose the dog! 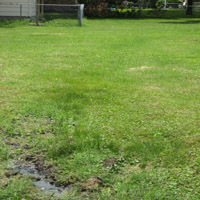 Surfacing Sewage...not a good yard for touch football!